To access the Filtrete thermometer remotely you can access basic settings, login to the Filtrete website (https://my.radiothermostat.com/filtrete/login.html) and sign in. 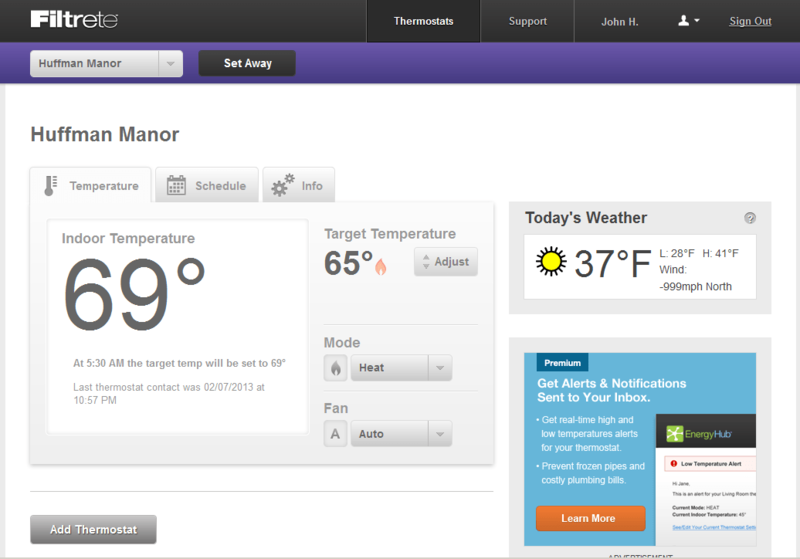 Once you have accessed the website, you are able to add and configure the Filtrete theremostat this allows you to configure all of the basic settings including Set/End Away, adjusting the current temperature settings, and configuring the schedule with a very simple and intuitive interface. 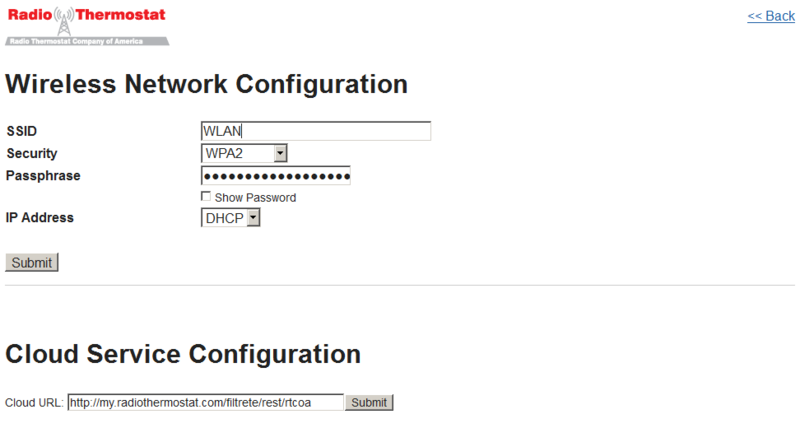 There is also a very basic web interface to configure the WLAN settings directly if you know the IP address.Â This will be http://192.168.1.1/ for the initial configuration, or the current IP address if you’d like to change the WLAN settings. Selecting the Advanced option in the top corner goes to the advanced page which provides the interface for WLAN network configuration. Selecting Cloud Service Configuration then updates the configuration to the cloud service to allow remote access to the thermostat.